curtain and upholstery cleaning services across Haywards Heath and the surrounding areas. For a free no-obligation quote contact us today! Hi, I’m Jonathan and for over 25 years I’ve been supplying carpet, curtain and many other cleaning services to homes and businesses in and around Haywards Heath. My beliefs have always been that the best way to success with a local business is to offer an exceptional service which is both professional and personal, giving great customer service and achieving excellent results. Give me a call today and I’ll explain what we can do for you and I’ll give you honest and realistic advice. At the same time you can get an instant no-obligation quote. We are very proud members of the Check-a-trade scheme as it enables you to see certified and genuine reviews from past customers in and around Haywards Heath. Give us a call us now on 0800 587 4571 to find out more about the cleaning services we provide to homes across Haywards Heath and how we can help you. 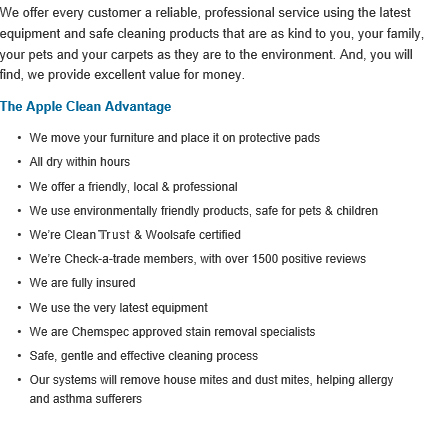 With over 25 years’ experience to our name, Apple Clean is your local friendly fabric cleaning company. 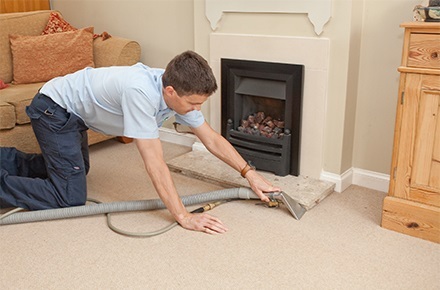 Over the years we have built up an extensive reputation in providing high quality cleaning services for customers across the South East of England including the area of Haywards Heath. We provide a swift, thorough and professional cleaning service using quick and efficient methods to ensure that your home or work environment receives a thorough cleaning. It is easy to miss common substances that can be damaging to fabrics and materials over time. Mould and dust can gather and become extremely harmful if left untreated but standard cleaning solutions can cause further damage to sensitive fabrics so ascertaining the right method of cleaning is essential. Whatever your needs the experts at Apple Clean have the experience to provide your home or work environment with a first class cleaning service that will leave your fabric furnishings spotless. We take pride in providing a high quality, friendly service to all clients and with a team of highly skilled professionals we endeavour to ensure that all fabrics are well looked after throughout the cleaning process. We have years of experience cleaning a range of household and office items including fabrics, upholstery, carpets, curtains and more. 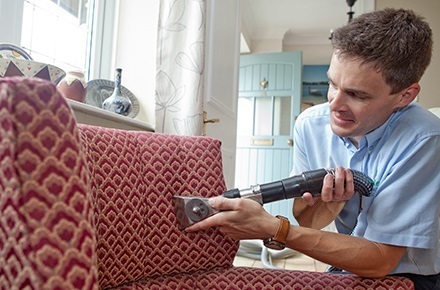 Should you have any older, more permanent stains then please do not hesitate toget in touch with us also as we have an excellent track record for ridding fabrics and upholstery of more permanent stains. We work with the latest technological advancements in cleaning to ensure that all customers receive the very best service. Plus our state-of-the-art industrial equipment gives us the capability to provide highly efficient stain removal as well as in-situ curtain cleaning services to all clients. We understand the importance of keeping your home or working environment clean, particularly if you are sensitive to mould or dust. Call Jonathan today for more information or to obtain an instant, no obligations quote. 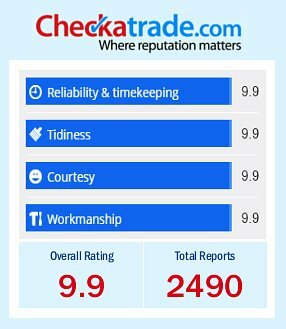 As a highly accredited company with stunning reviews on Checkatrade we provide expert cleaning services for both homes and work environments across Haywards Heath and further afield. Please telephone Jonathan on 0800 587 4571 or simply fill in the contact form to the right with your details and your query and we will get back to you as soon as possible. We look forward to hearing from you soon.